T-Fal 20-Piece Cookware Set Just $24.49! Down From $140! Shipped! 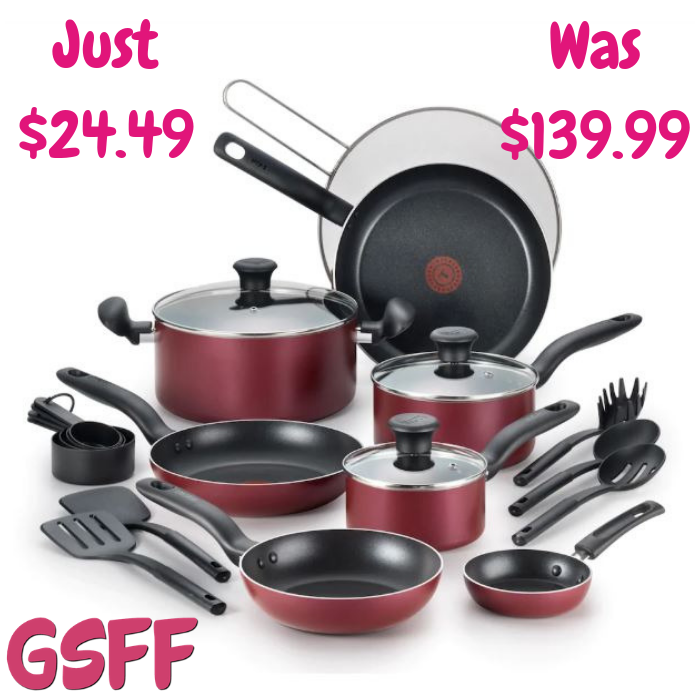 You are here: Home / Great Deals / Black Friday Deals / T-Fal 20-Piece Cookware Set Just $24.49! Down From $140! Shipped! Score T-Fal 20-Piece Cookware Set for just $24.49 down from $139.99 after promo code JOY at checkout, $20 Mail-In Rebate and $15 Kohl’s Cash for spending $50! PLUS, it ‘s FREE shipping!